Midnight Magic is now upon us—only a few days away! It’s hard to believe that 8 years ago around this time, we were remodeling our previous retail space in downtown Mukwonago. Since then, we’ve grown and made a home in our awesome Bay View Road store and have created so many memories!! This will be our 14th Mukwonago Midnight Magic since we opened in 2005 and we are just as excited as ever to offer you—our AMAZING customers and friends—more great deals, live entertainment, giveaways, and vendors that will be here to celebrate our community with us. Drop in at our Mukwonago location for all the events! Don’t miss your pictures with Santa! 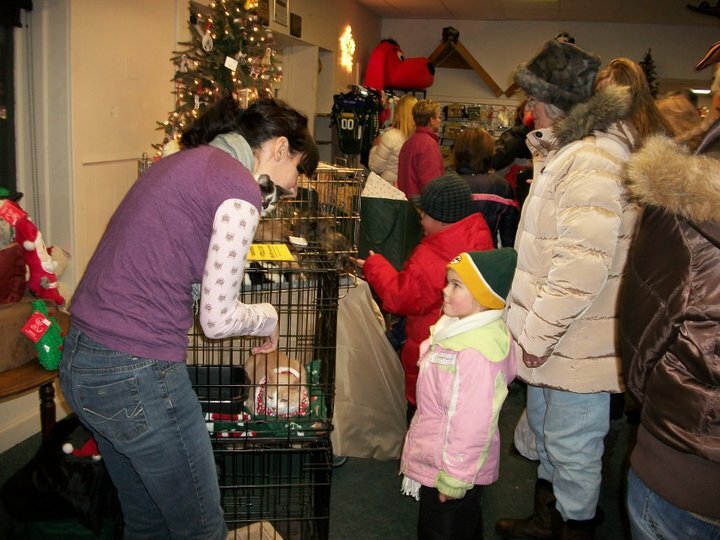 Join us at End of the Leash Mukwonago to have your pet’s photo taken with Santa on Saturday, December 8th from 11am-3pm! 100% of the proceeds from this event will go to L.E.A.R.N. (Labrador Education and Rescue Network). The cost is $10.00 for two digital photos. No appointment necessary! Stop by for a raffle, treats and lots of fun! 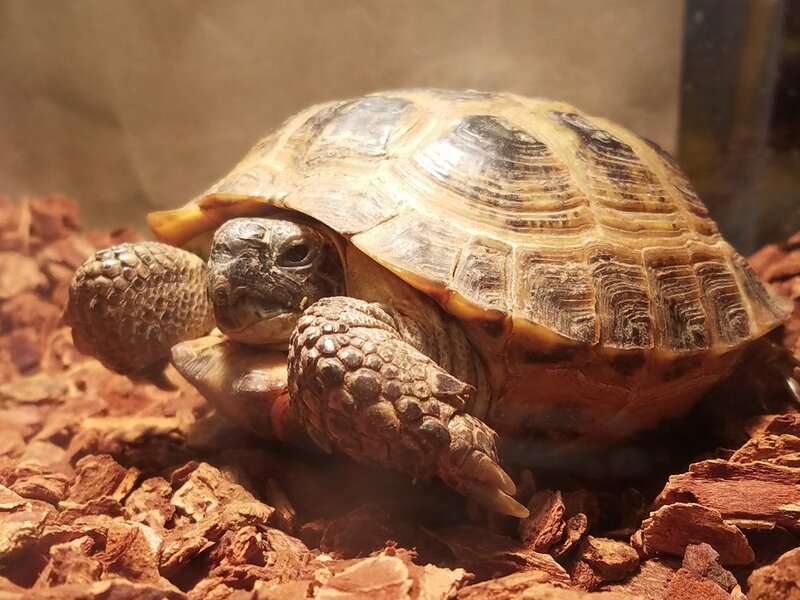 This is Jack, the Russian Tortoise. He was surrendered to HAWS this summer, in rough shape. After several months recuperating in foster care, he's ready for adoption! This gentle reptile is roughly the size of a soft ball. His species can grow to be eight to ten inches long and live until 40 years-old. He is a vegetarian who mostly dines on dark leafy greens (even dandelion leaves)! He likes a dry enclosure with special lights, somewhere to dig and appreciates a weekly soak. When the weather is warm he likes to be outdoors. However, as previously stated, he likes to dig. So, outside he needs to be watched or have a reinforced area. See you at Midnight Magic!